As part of its engagement in the Mekong region, the Australian Water Partnership (AWP) seconded an Australian Sustainable Hydropower Expert to the Mekong River Commission (MRC) from June 2017 to December 2018. With hydropower rapidly developing in the Mekong Basin (with 40 planned projects in 2017 and an additional 14 anticipated by 2020), the MRC had a critical need for leadership in promoting strategic and sustainable development of hydropower in the basin. AWP’s Sustainable Hydropower Expert, Mr Simon Krohn (Simon Krohn Consulting), worked directly with the MRC’s incoming Sustainable Hydropower Specialist – who commenced after the incumbent had retired – to provide capacity building and mentoring, and to co-develop a work plan to review and update the MRC’s critical 2001 Hydropower Development Strategy and 2009 Preliminary Design Guidance for Proposed Mainstream Dams. This secondment gave the incoming MRC Sustainable Hydropower Specialist exposure to the technical and management requirements of his role, as well as knowledge on specific topics such as the geopolitical complexities of development on shared rivers, sustainable hydropower practice, strategic planning, hydropower impact assessments and mitigation, sustainable hydropower design, and consultant procurement and management. Throughout the first six months, Mr Krohn and Sustainable Hydropower Specialist together consulted with MRC member countries and led significant collaboration, knowledge sharing and capacity building initiatives across and within the MRC’s four divisions. This led to significant progress on both the 2001 Hydropower Development Strategy and 2009 Preliminary Design Guidance for Proposed Mainstream Dams, with a set of concept notes and terms of reference developed for each over the first six months, and the final draft for the Strategy completed by the end of January 2019. 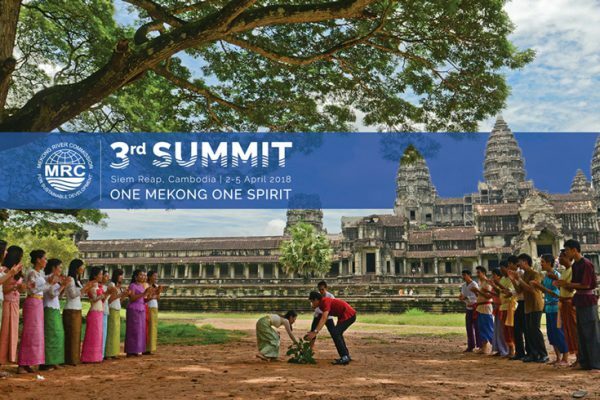 The new Sustainable Hydropower Development Strategy (SHDS2018) aims to explore optimal and sustainable hydropower pathway alternatives and will function as an input to the Mekong Basin Development Plan from 2021. The update of the MRC Preliminary Design Guidance for Proposed Mainstream and Significant Tributary Dams of the Lower Mekong Basin (DG2018) has been completed and will provide developers of proposed dams with an overview of the issues considered by the MRC during the process of prior consultation. An in-depth discussion is currently proceeding with MRC member countries towards the adoption of the new Guidance in early 2019.